Have I mentioned that I'm in love with the little town we landed in? It's small, with about 1100 residents - although we're less than 20 min away from bigger towns and anything we need. I like that it isn't too crowded, especially coming from the DC area which is incredibly crowded. But what I love the most is the HUGE network of hiking trails. I've read that there are over 100 trails covering over 100 miles in this town. There is a lot of history here. 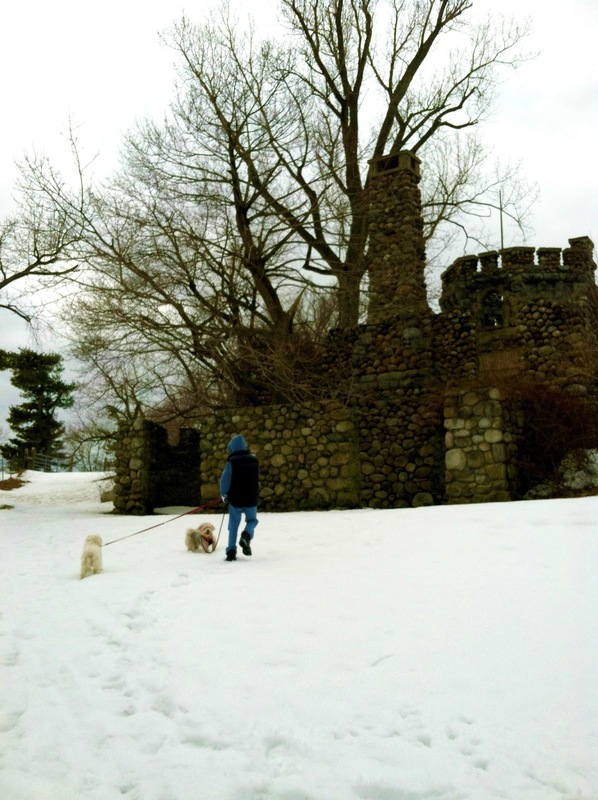 Just the other day on one of the trails - we discovered a castle just two miles from my house! Technically it's not a castle, but it sure looks like one! It was originally built as a bungalow (hah!) in 1906 for a wealthy general's wife!, but the builder's wife passed before it was built, money ran out and the local hunting club bought it. 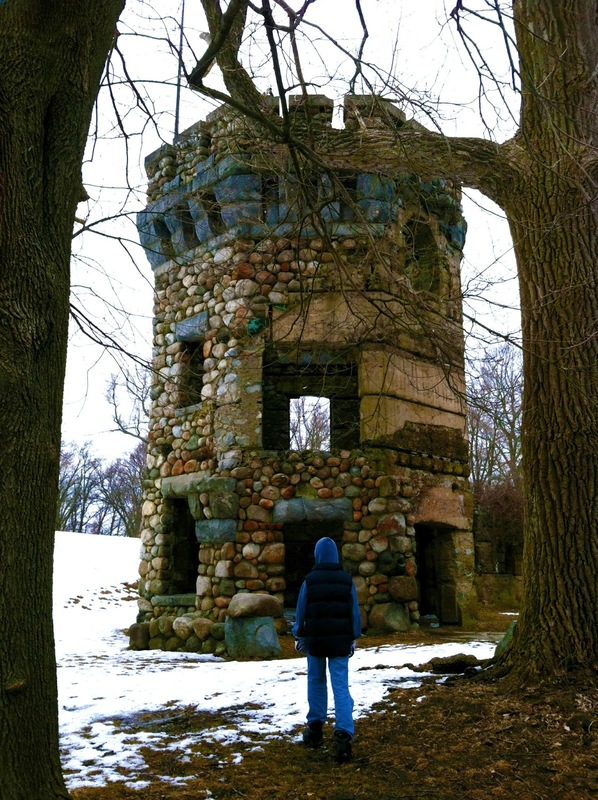 Then back in the 30's during the Fourth of July, the place caught fire and all that was left standing was the stone structure you see above. I can't wait to see this place in the spring, summer and fall! The colors were SO vibrant on our sunny Sunday - I didn't manipulate this photo whatsoever - it was an iphone shot and you can see how spectacular the greens on the pines was looking!!! We saw plenty of insects, even in the snow....so I know spring is coming!! Anyway - I've been pretty busy with work, but I have a LOT of projects on my beading table! !Yesterday I wore my fish pendant (for the upcoming Beading Babes project) to the International Seafood Show and got tons of compliments! I can't wait to reveal in April! That is wicked cool!!! What a great find! I would have a field day shooting at that location. WOW!!! First, let me say your iPhone takes great photos. Secondly I love the old, historic building. It does feel like a castle. Love the greens & blues together too. Great color palette! Hope all is well! 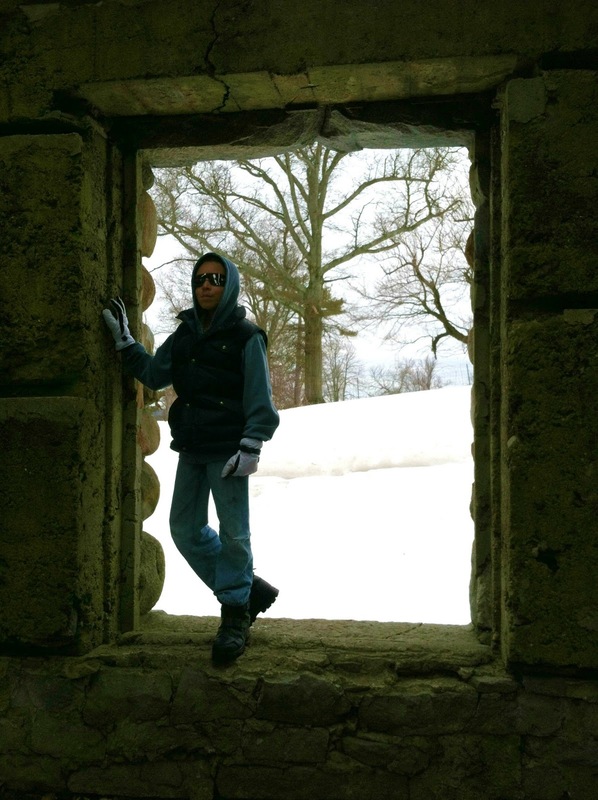 Love the castle, your photo is beautiful. Beautiful picture! I love that palette. Those old New England towns are so charming and seem like a step back in time. You're so lucky to have found a place like that! That castle is too cool! The rocks look like they are very colorful. 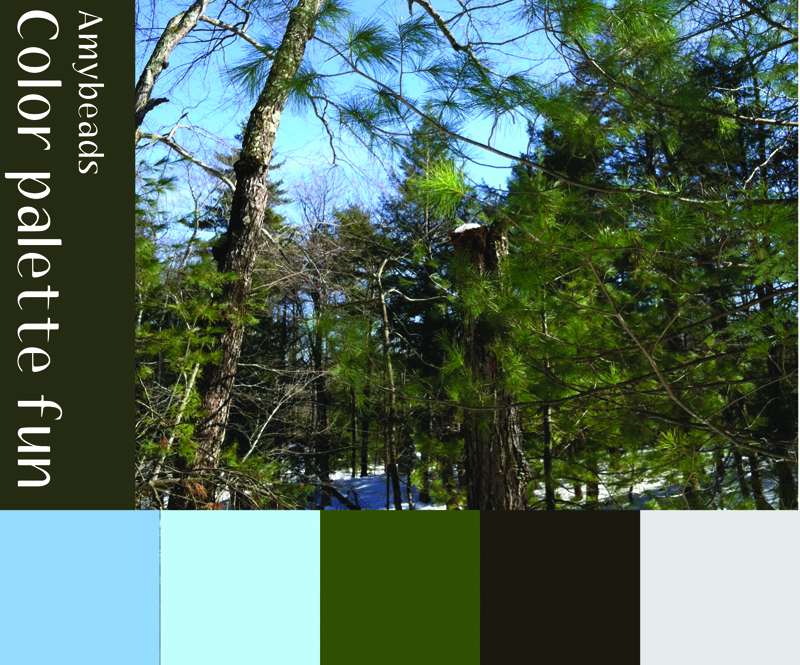 You guys are going to have so much fun exploring all the trails :-) Your color palette from the at beautiful day is wonderful! I love the idea of blending the lighter blues with the deep green and brown. Whatever is made with those colors would be really lovely and soothing.